What if there was a single application that could address gapped, crooked, chipped or stained teeth? Wouldn’t that be ultra-convenient? There actually is one method that can do the job – porcelain veneers. As you read on, your cosmetic dentist explains how the process works and how long veneers typically last. Porcelain veneers are thin, ceramic sheaths that are custom-designed to fit directly over your teeth and provide aesthetic improvements to them. The process usually takes two appointments to complete. Enamel Removal – Your dentist will first remove a small amount of your enamel to create the space for the porcelain veneers to align properly with your other teeth once placed. 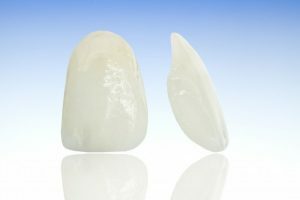 Bite Impressions – Next, a soft, putty-like material will be used to capture bite impressions of your teeth, which will be sent to a trusted lab that will create your permanent veneers. Placement of Temporary Veneers – The first visit will conclude with the placement of a set of temporary veneers to protect your teeth from any damage and prevent sensitivity. What Happens at the Second Visit? Pre-placement Inspection – Before affixing the permanent veneers, the dentist will make sure that the thin wafers match the color of your other teeth. If a slight adjustment needs to be made, your dentist can apply a variation of the dental bonding material to create the perfect match. Etching the Tooth – Before the veneers are placed, your teeth are etched using an acidic compound that roughens the surface. This allows the shells to adhere properly. Cementing the Veneers – The final step is to spread a cementing compound on the back of the veneers so they can be properly affixed to your teeth. With proper care, porcelain veneers can usually last up to 10 years. Ultimately, their longevity is dependent on the level of care that is provided after they’re placed. One of the leading causes of veneers failing is improper care, so things like eating ice, biting fingernails and using your teeth as tools are definite no-no’s. To get the most out of your veneers, you’ll need to practice excellent oral hygiene, which includes brushing and flossing your teeth at least two times a day, and be sure to visit your dentist semi-annually for check-ups. By following what you’ve learned here after receiving your new porcelain veneers, you’ll be able to enjoy your beautiful smile for years to come! Since graduating from the Indiana University School of Dentistry in 1985, Dr. Mark M. Farthing has been a fixture in the Indianapolis community. 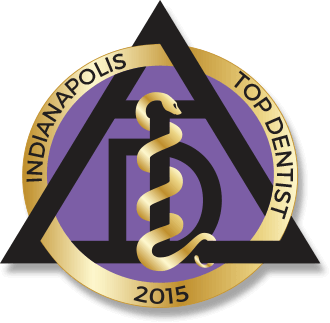 He combines decades of experience and a constant drive for perfection to provide his patients with beautiful new smiles with porcelain veneers at Indianapolis Family Dentistry, and he can be reached for more information through his website.